I believe that the verdict in the Zimmerman/Trayvon Martin Case further exposes a grievous and deep vein of disharmony and racial tension in our nation that can only be healed when people realize that every human being should be treated with dignity and respect, says Dr. Alveda King, Director of African American Outreach for Priests for Life. A trial like this causes public debate, and people have forgotten what is right anymore. Now Trayvon’s tragic death is obscured and Mr. Zimmerman is a public spectacle. The lines of what is right and what is legal/lawful have also been blurred and this trial exposes that. We saw the same scenarios in the O. J. trial and the Casey Anthony case. There was reasonable doubt, no matter how minute the reasonable doubt proves to be. Even more recently, abortionists are butchering women in so called legal yet under-regulated facilities where in many cases no arrests are being made; with Kermit Gosnell's case being a recent exception. In Chicago, where random killings are at an all time high, a Black Woman, Tonya Reaves, was recently slaughtered and bled to death for five hours in a Planned Parenthood abortion mill and no arrests have been made. Now in the wake of Trayvon’s senseless death and Mr. Zim­merman’s acquittal many people are angry at the tragic loss of life and what some perceive to be a shun on the Black race. For the record, Acts 17:26 teaches that there is one blood and one human race, not multiple races, so racism is based on a lie! Others seem to feel a victory because certain constitutional rights were favorably argued and the question of reasonable doubt prevailed in this case. Yet it is important to also note that Zimmerman’s life is ruined too, and that the court of public opinion is not completely on his side. So in a way the blind scales of justice seem to have favored Mr. Zimmerman while Trayvon’s voice is silenced and his dream died with him. And Micah 6:8 says that we should add love and humility to justice. Love and humility are missing on both sides of this struggle! My uncle Dr. Martin Luther King, Jr. once said that we must all learn to live together as brothers (and sisters) or perish as fools. Too many people are dying today for too many reasons, and the race baiting and strife add fuel to the fire which grieves my soul. Again a young American man has perished, another is a public spectacle. Who wins? We must now use this controversy as an opportunity to help educate our future generations as to how to act and how to react in similar situations; then maybe young Trayvon’s death will not be in vain. A profound injustice has occurred in glossing over the death of this young man and the suffering of his family. The not guilty verdict violates the tender nuances of human suffering and the integrity of the criminal justice system in his community. It remains critically-important, however, that all protests against the verdict demonstrate an irrevocable commitment to nonviolence, to honor the dignity of Trayvon Martin’s precious life and not add further tragedy to what his family and the people of Sanford have already experienced. Let's face it. If both people in this tragedy were of common ethnicity, there would be no media feeding frenzy. The gun control debate is a smokescreen in that people do use guns to kill other people as Zimmerman did in this case. But guns don’t kill people. People kill people. Yes, sometimes they use guns, but they sometimes use bombs or knives too. We definitely need love control and heart control and nonviolence control. There are murders going on every day that the media overlooks. Remember Tonya Reaves. Millions of Black babies and many of their mothers are being slaughtered in abortion mills. Where is the justice for that? Obviously strife and struggle and conflict were at the base of this case. Two men alone on the street in the dark. A punch is thrown. A gun escalates the trauma and drama. We need a Beloved Community. We need nonviolence conflict resolution. 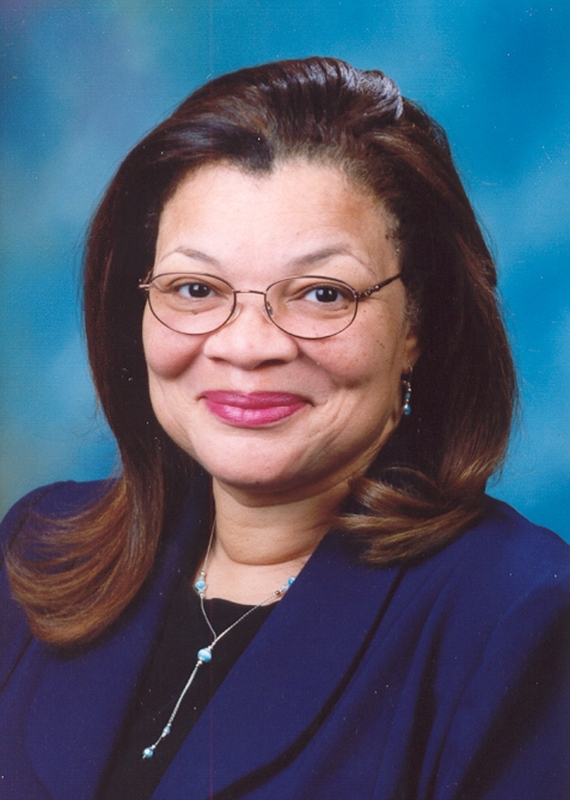 DR. ALVEDA C. KING: Daughter of the late slain civil rights activist Rev. A. D. King and Niece of Dr. Martin Luther King, Jr. Founder of King for America, Inc. Mother of six and doting grandmother. Consultant to the Africa Humanitarian Christian Fellow­ship. Former college professor. MA degree in Business Management. Published author of Sons of Thunder, The King Family Legacy and I Don't Want Your Man, I Want My Own. Doctorate of Laws conferred by Saint Anslem College. Served on the boards and committees of Coalition of African American Pastors, and the Judeo-Christian Coalition for Con­stitutional Restoration. Served in the Georgia State House of Rep­resentatives. Accomplished actress and songwriter. She is a voice for the Silent No More Awareness Campaign, speaking about her regret for her abortion. During the years of the Civil Rights Movement, led by her Uncle, Dr. Martin Luther King, Jr., Alveda’s family home was bombed in Birmingham, Alabama. “Daddy’s house was bombed, then in Louisville, Kentucky his church office was bombed. I was also jailed during the open housing movement,” she recalls. Alveda has continued her long-term work as a civil rights activist. Advocate for School Choice as a civil rights issue. Strong advocate for life of the unborn, faith in God not faith in government bureaucracy.